Need human services? Give us a call at 814-438-7550 to set up an appointment! We can help you apply for benefits through the COMPASS computer system, and submit your application to the Erie County Assistance Office. 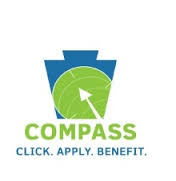 We can also assist with and submit energy assistance (LIHEAP), Social Security, CHIP, and Northwest Rural Electric Cooperative (NWREC) Member to Member Applications, which can also be found on the COMPASS website. If your needs fall outside of those mentioned above, give us call anyway! We might not provide the service ourselves, but can probably connect you to somebody who does!